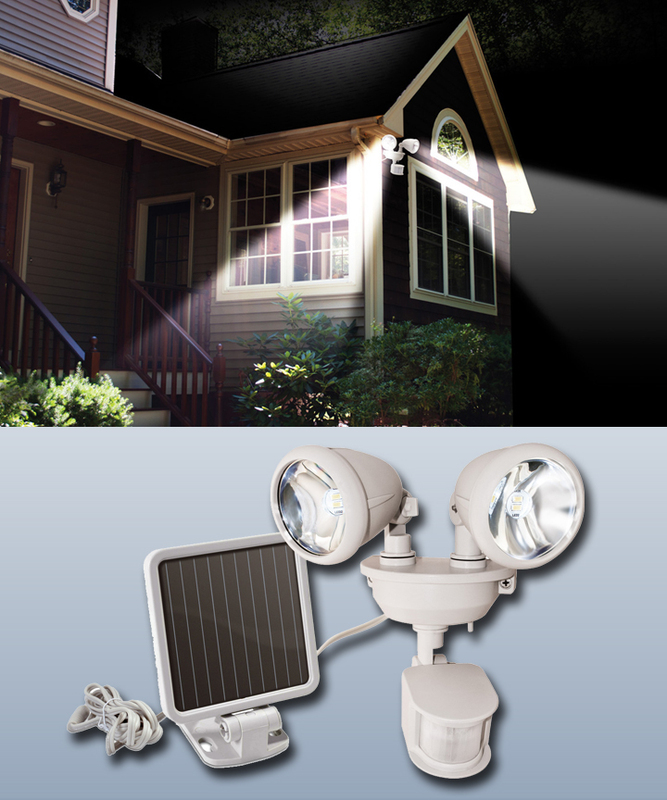 The Solar Powered Dual Head Security Light in White is a cost-effective, strong, motion-activated spotlight with two adjustable heads that let you aim light where you need it. Along with advanced SMD LEDs for maximum brightness and efficiency, the two-head design lets you cover more area and direct light in more than two directions with extreme control over where the light falls. This is an excellent light to enhance safety at doorways, driveways, carports, and other areas people enter and exit. 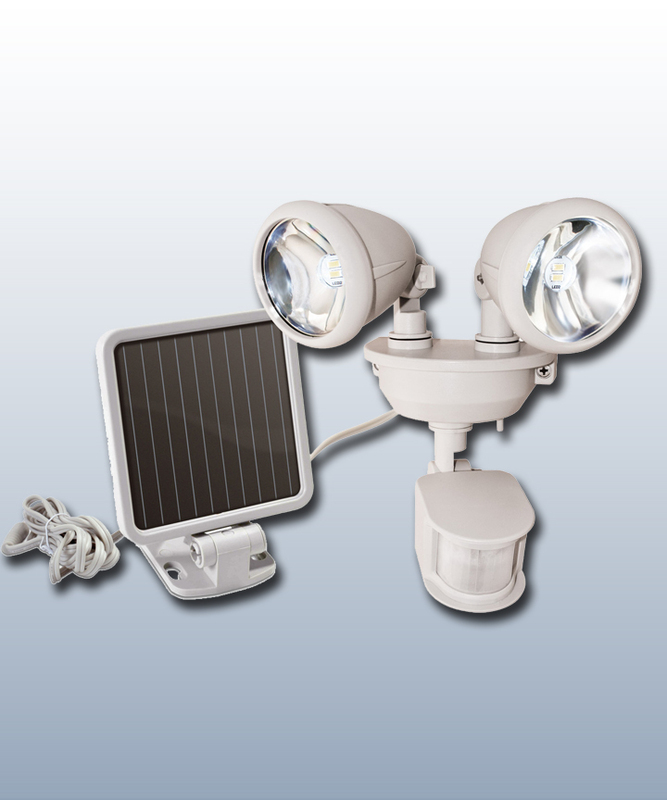 The solar spotlight comes with the fixture, solar panel, and rechargeable NiMH batteries. A nine-foot cord connects the solar panel and light fixture. The result: easily install the spotlight where you need it most (even in covered areas) while putting the solar panel where it will absorb the most sunshine. Controls on the spotlight also let you set the how the degree of motion-sensitivity (how much "motion" is required to activate the light, to prevent false alarms) as well as light/dark sensitivity or LUX. 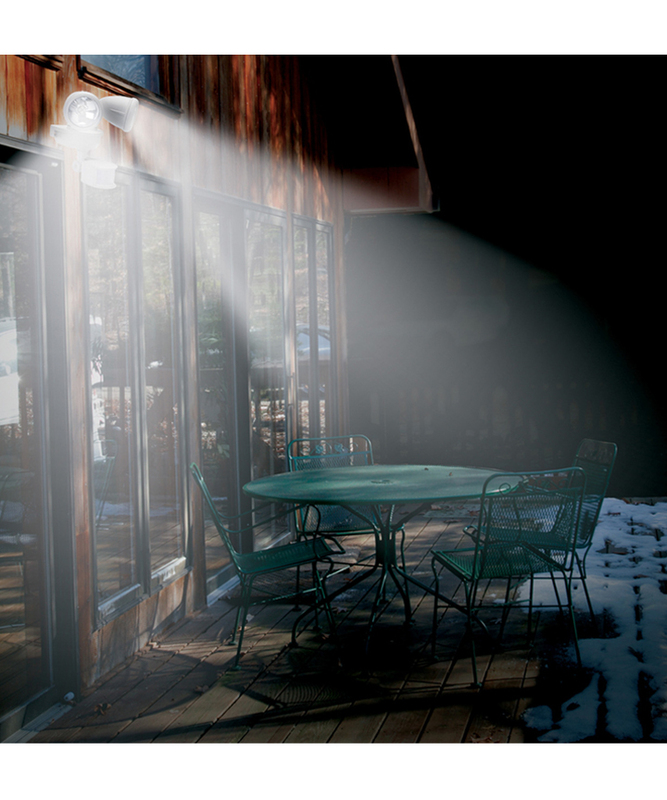 LUX lets you determine whether the light will begin activating, for example at dusk or in full darkness.